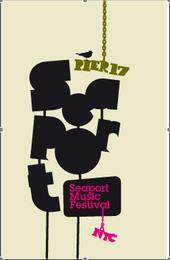 The Seaport Music Festival 2010 line up has been announced. Right now it appears the festival is getting a late start on June 26. But, not all of the shows have been announced. The Web site says to come back June 1 for the new site. I’m especially excited about this year’s festival with the performances of Bear in Heaven, Thee Oh Sees, Best Coast, Avi Buffalo and YACHT. More free concert updates may be found on the calendar page.